Posted on 11/08/2014 11/07/2014 by Todd	This entry was posted in Ballpoint, Multipen, Reviews and tagged Jotter, Parker. Bookmark the permalink. Thanks for the Jotter review, I hadn’t realised that there was such a wide variety of refills for the pen. I shall certainly try a few to see what suits me best. Thanks for stopping by Andy. Browse by any decent online pen store and browse the refill options. You’re bound to find more options than you can handle :-). I have no affiliation whatsoever, but I think Colorado Pen stocks a pretty wide selection of Parker-type refill options for you to consider. Good luck and have fun. Your review reflects my attitude toward Jotters! I especially enjoy vintage design that is so near perfect as to be overlooked. Daily use of a 45 year old pen – with a modern refill – captures the intersection of whimsy and utility perfectly. It’s a sweet spot. Thanks for stopping by Michael. The Jotter really is a classic and, your right, combining a Jotter with a good refill does a nice job of mixing the old with the new. I really liked this review. Do you have any preferred place to get the all-metal jotters? My favorite metal pen is an Ohto flat-c which I randomly saw at a Kinokuniya book store in Los Angeles. It uses a needle point .5mm gel refill. I am curious to try a metal jotter with fine gel refill. 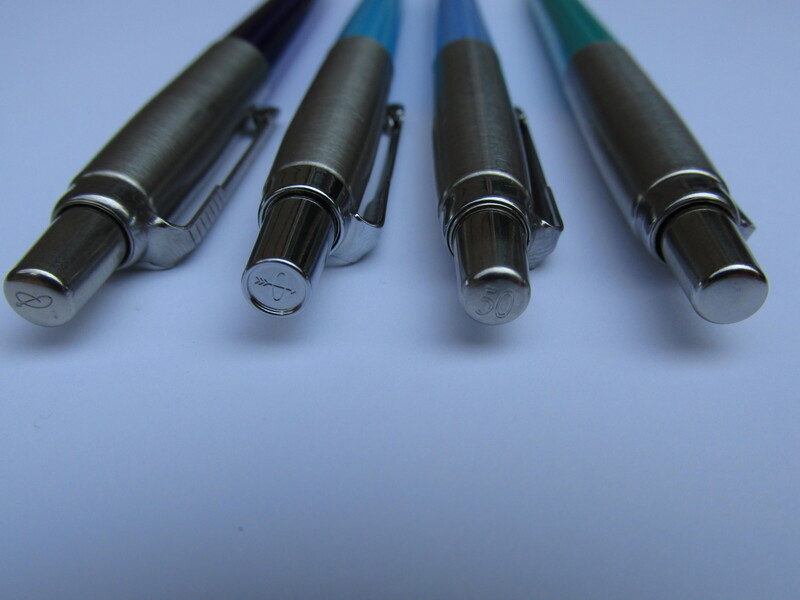 The various flavors of Parker Jotters are easy enough to find in the usual spots like Amazon or eBay. When it comes to metal Jotters, I’m partial to my blue Parker 125th anniversary Jotter. With a bit of patience, you should be able to get a pretty good deal (~$18 or less) on eBay for a 125th anniversary version. Hi Todd, nice review! I started my PJ’s collection many years ago. I’ve found a Swiss Firm that produce refills with a nice price and good value. 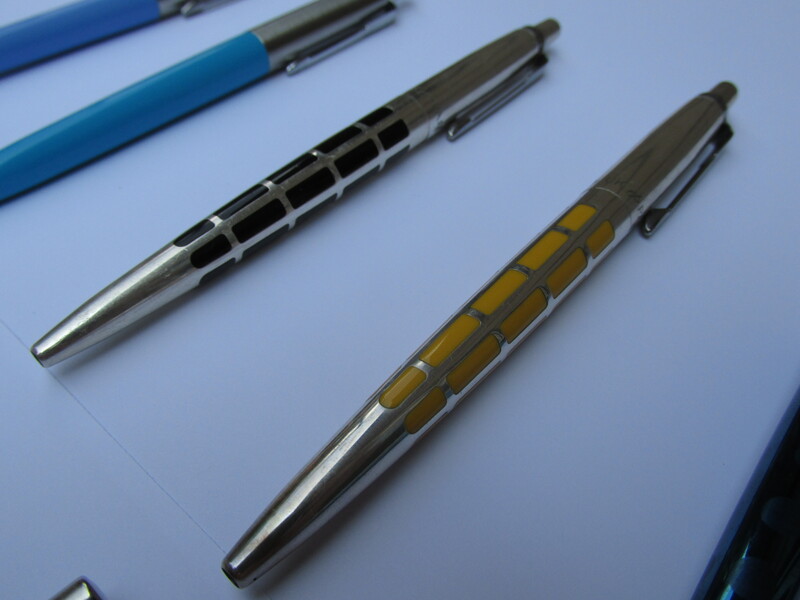 Best to have four colours pens with four colours refills. 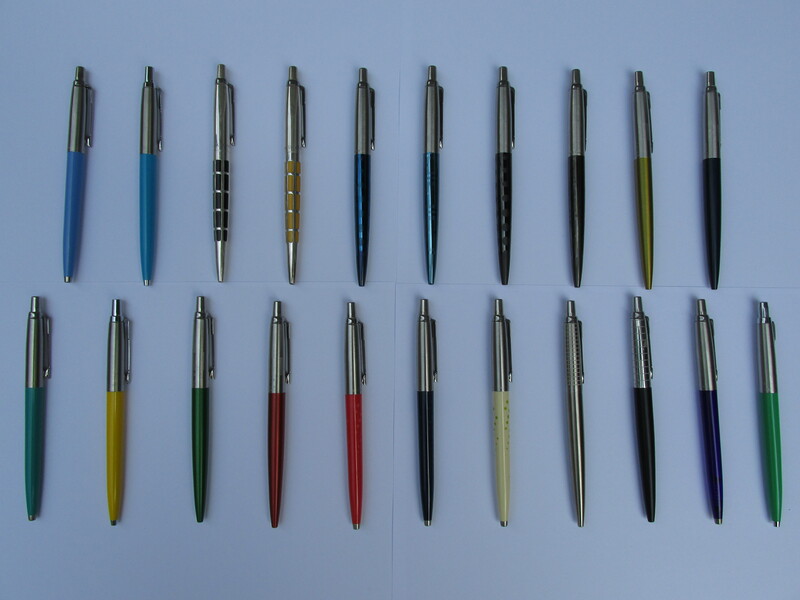 I have a parker jotter that I have never seen before and it has a fat profile, it is stainless and has no plastic threads,I have looked for another on ebay after misplacing and then finding it. never saw another. I believe it has to be rare. Any photos Jim? My trust all-steel Jotter’s been missing since Christmas, and I’d like to replace it. I did see an interesting cap actuated all-steel Jotter with useful looking engraved rings around the section once on eBay, and never again!